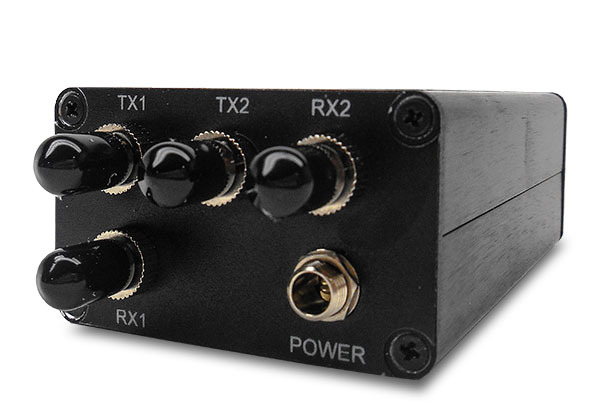 The MultiDyne GenPlex-12G can be strategically placed in the middle of long distance runs in order to regenerate the signal. 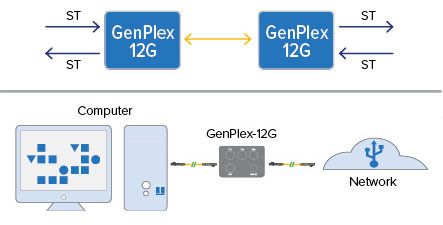 With two inputs and two outputs, the GenPlex-12G is ideal for 10G data networks, as well as new 12G SMPTE camera chains, allowing the regeneration of a send and receive fiber. For SMPTE applications, the GenPlex-12G is available with a SMPTE 311 hybrid adapter which will convert to one or two standard single mode fiber at the same time. The MultiDyne HUT (not included) can them be used to reinject the power and adapt back to SMPTE hybrid fiber. Ideal from high speed data networks and SMPTE camera chains. Data rate 1Gbps to 12Gbps. Distance range up to 80Km. Accepts any wavelength and transmits back at 1310nm or requested wavelength.